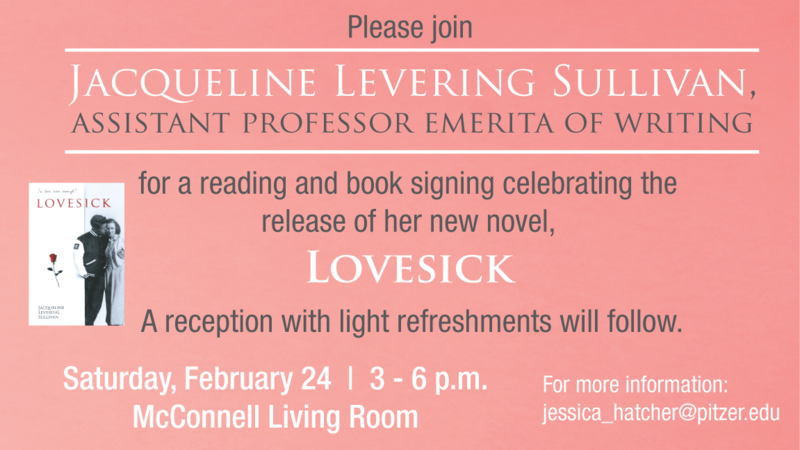 Please join Jacqueline Levering Sullivan, Assistant Professor Emerita of Writing, for a reading and book signing celebrating the release of her new novel, Lovesick. A reception with light refreshments will follow. Saturday, February 24, 3-6 p.m.